We walked one of the trails in Saguaro National Park East stopping every 200 feet, listening for owls and documenting what we heard. Elf Owls are the smallest owls in the world and we did hear a few and also got a glimpse of one. 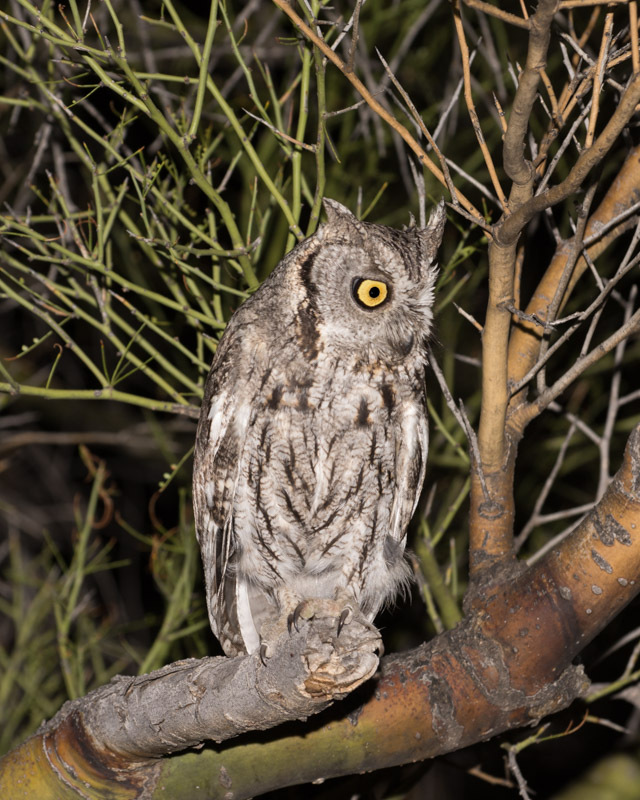 In addition, we also heard many coyotes and quite a few Western Screech Owls. 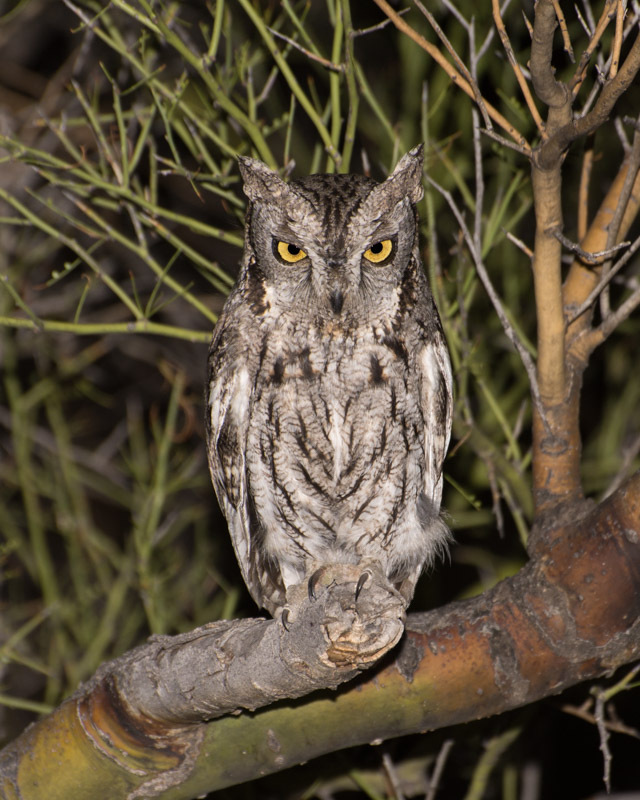 We have many Western Screech Owls in the Foothills so you may have heard or seen these little owls before. 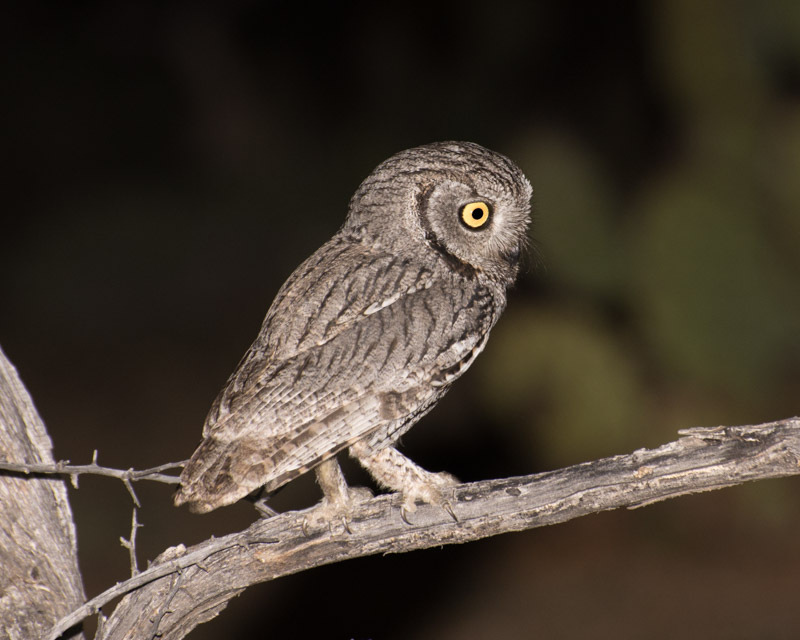 Elf Owls are more prevalent in the Saguaro National Park, both east and west, than they are in the Foothills. Below are some of the evening’s highlights. 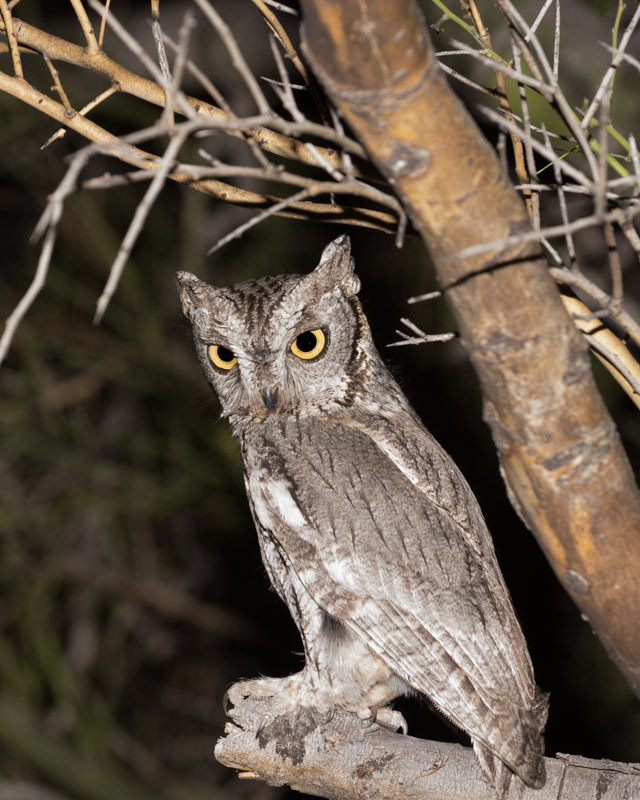 All of the owls pictured are Western Screech Owls. I got shots of two different owls but we saw and heard many. This second owl sat for the longest time for us. 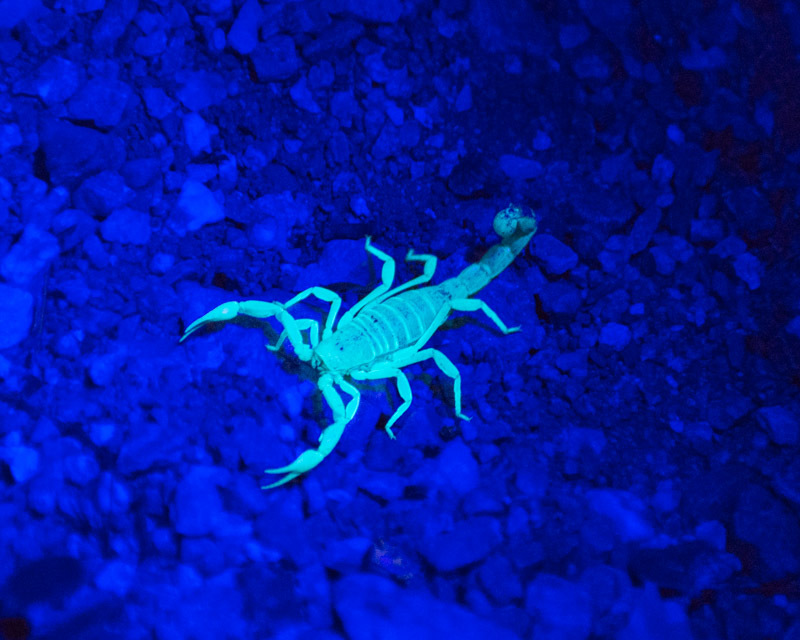 This scorpion is called a stripe-tailed scorpion. You can see the black stripes on the underside of his tail. 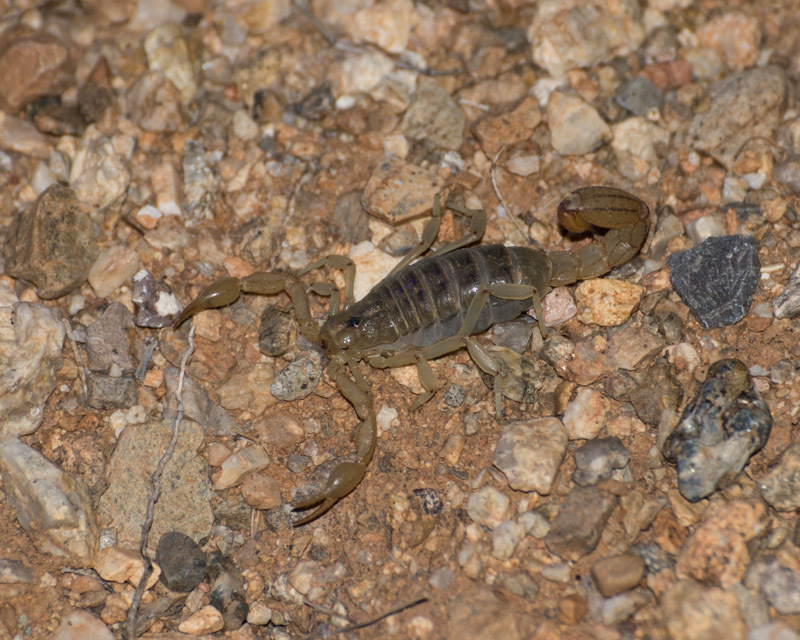 This is the most common scorpion in our area.